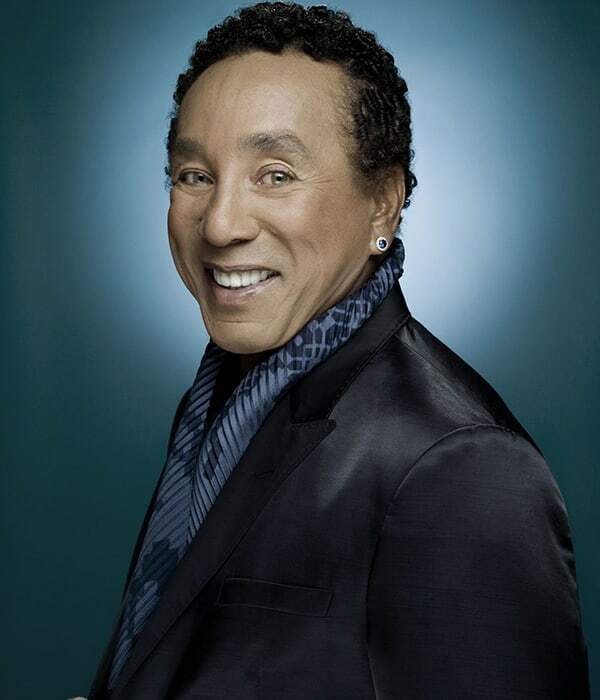 Once pronounced by Bob Dylan as Americas greatest living poet, acclaimed singer-songwriter Smokey Robinsons career spans over 4 decades of hits. He has received numerous awards including the Grammy Living Legend Award, NARAS Lifetime Achievement Award, Honorary Doctorate (Howard University), Kennedy Center Honors and the National Medal of Arts Award from the President of the United States. He has also been inducted into the Rock n Roll Hall of Fame and the Songwriters Hall of Fame. The Miracles dominated the R&B scene throughout the 1960s and early 70s and Robinson became Vice President of Motown Records serving as in-house producer, talent scout and songwriter. In addition to writing hits for the Miracles, Robinson wrote and produced hits for other Motown greats including The Temptations, Mary Wells, Brenda Holloway, Marvin Gaye and others. The Way You Do the Things You Do, My Girl, Get Ready, You Beat Me to the Punch, Dont Mess with Bill, Aint That Peculiar, and My Guy are just a few of his songwriting triumphs during those years. He later turned to a solo career where he continued his tradition of hitmaking with Just to See Her, Quiet Storm, Cruisin, and Being with You, among others. He remained Vice President of Motown records until the sale of the company, shaping the labels success with friend and mentor Berry Gordy. Following his tenure at Motown, he continued his impressive touring career and released several successful solo albums.